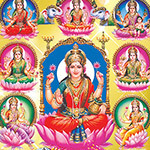 The 8 Goddess forms represent the 8 different facets of wealth, which fulfill the various needs and wishes of any individual. These include aspects like health, wealth, fertility, learning, courage, power, progeny and victory, and hence occupy a pride of place in anyone’s life in this world. 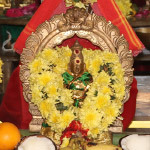 These Ashtalakshmi forms are – Adi Lakshmi, the primordial aspect; Dhana Lakshmi, the wealth aspect; Dhanya Lakshmi, the food grain aspect; Gaja Lakshmi, the elephant aspect – the form denoting animal wealth or royalty; Santana Lakshmi, the progeny-blessing element; Dhairya Lakshmi, the courage aspect; Vijaya Lakshmi, the victory aspect; and Vidya Lakshmi, the learning aspect. Devotees pray to these Goddesses in temples, homes and public places, as individual divinities and also as a combined divine form. 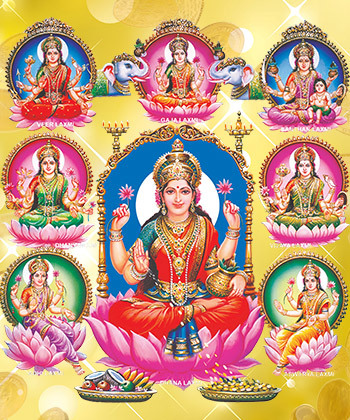 These 8 Lakshmi-forms are worshipped in many ways, and Ashtalakshmi Pooja is believed to be one of the highly effective means of pleasing the Goddess and receiving her blessings. The Ashtalakshmi forms are the providers of prosperity in all its dimensions and should be worshipped for getting wealth and material comforts. The grace of the Goddess can wipe out all ‘wants’ from the lives of the people. Hence people reeling under financial strains, irregular or insufficient incomes, business losses, etc. 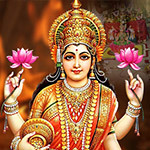 should perform Ashtalakshmi pooja for lasting relief. This pooja is also recommended for those seeking joy, contentment, and long lives. Friday is held as an auspicious day and is considered particularly sacred for praying to Mahalakshmi and her different aspects. 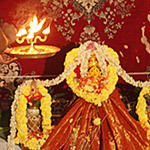 Hence, Fridays are considered most suitable for performing Ashtalakshmi pooja. The pooja can also be done on Panchamithithi, the fifth lunar day, Pournami, the Full Moon day and also Amavasya, the New Moon day. 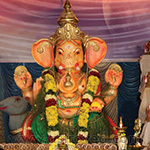 It is advisable to choose any auspicious Hora, the period of the day lasting for about an hour, for doing this worship. 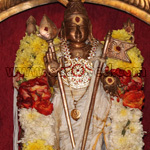 The benefits of Ashtalakshmi pooja can be manifold and substantial and can be both physical and psychological, and also material and spiritual. Performing the pooja with devotion and faith can get for the devotees great abundance and phenomenal success, while there will also be the fulfillment of their cherished dreams and ambitions. At the psychological level, negative feelings can get dissolved; evil energies may clear off from the atmosphere, and inner peace may set in. 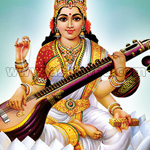 This is a powerful hymn dedicated to the Goddess, and its chanting is believed to get for the devotees, the divine blessings of Ashtalakshmi in abundance. 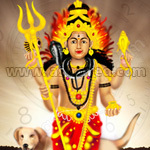 Kala Bhairava Homa (Fire Lab) invokes the blessings of Kala Bhairava, the God of Time and a manifestation of Lord Shiva. This homa can help you to manage and utilize your time successfully for optimal results and productivity.